The Hansaton Beat BTE hearing aid lineup is available in two performance levels – Beat 7 and Beat 3. Refer to our Hansaton Beat BTE Product Series page for a side-by-side comparison of both models. The Hansaton Beat 7 features a new generation of powerful sound processing technology called EASE and comes in 2 sizes – Beat 13 SP (Super Power) and Beat 675 UP (Ultimate Power). The word Power defines the Beat 7. 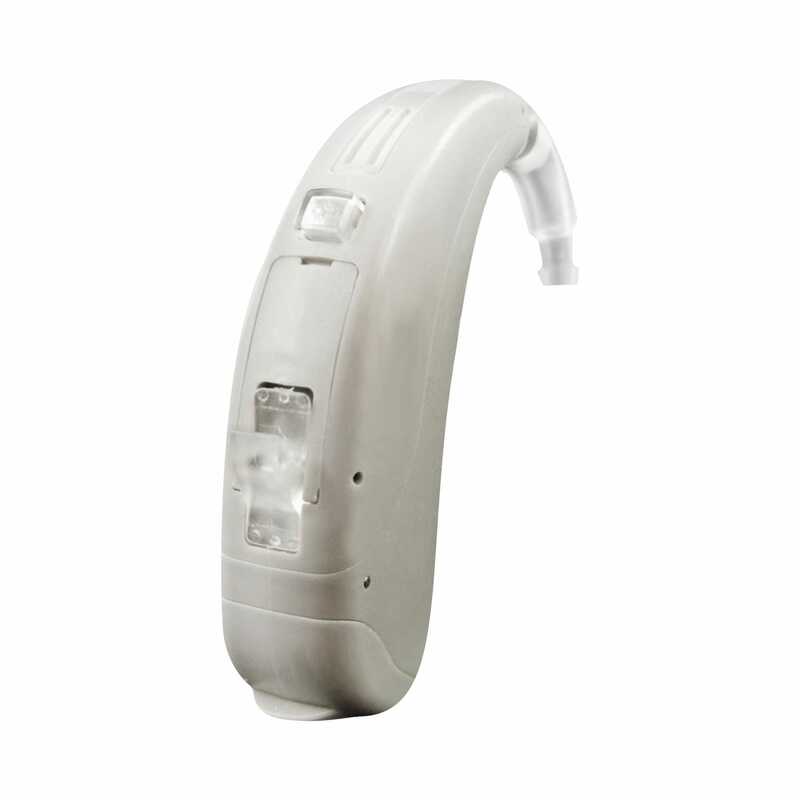 It is a strong and dynamic BTE hearing system designed with severe hearing loss individuals in mind. It provides excellent support and powerful amplification without diminishing speech or sound quality. This new hearing aid is simple, easy and comfortable to wear and the user will appreciate how SoundRestore can help recover natural hearing by using frequency compression to transfer inaudible signals into their auditory range. The 675 Ultimate Power size can also protect the ear with reduced output levels.